The comeback is complete! 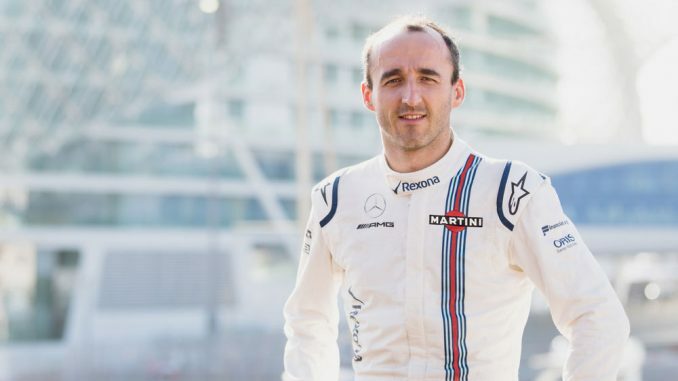 This morning Williams confirmed that Robert Kubica will drive for the team in 2019, partnering the already announced George Russell and stepping up from his reserve and testing role that he’s held since earlier this year. Kubica suffered serious injuries to his right hand in a crash during the Italian Ronde di Andora rally in 2011 and while he has been racing again in other classes, he has made it clear that his aim is to return to Formula 1 where he drover for the Sauber and Renault teams from 2006 to 2010, winning one race and finishing on the podium in 10 others. Kubica was linked with a seat at the Renualt team for the 2018 season after taking part in private tests in previous season’s cars, but saw his first laps in contemporary machinery at the post Abu Dhabi test in the 2017 Williams, where he was rumoured to be a contender for Felipe Massa’s seat after the Brazilian announced his (2nd) retirement at the end of 2016, but was passed over for the SMP Racing backed Sergey Sirotkin. This leaves Toro Rosso as the only team not to confirm their full driver lineup for 2019 (although Force India have yet to officially announce Lance Stroll as Sergio Perez’s partner).